The Muskegon River is finally receding to a more hospitable level though it certainly remains above normal for the time of year. Clarity is improving especially the further upstream you go toward the dam. Fishing is as you’d expect after a significant water event. 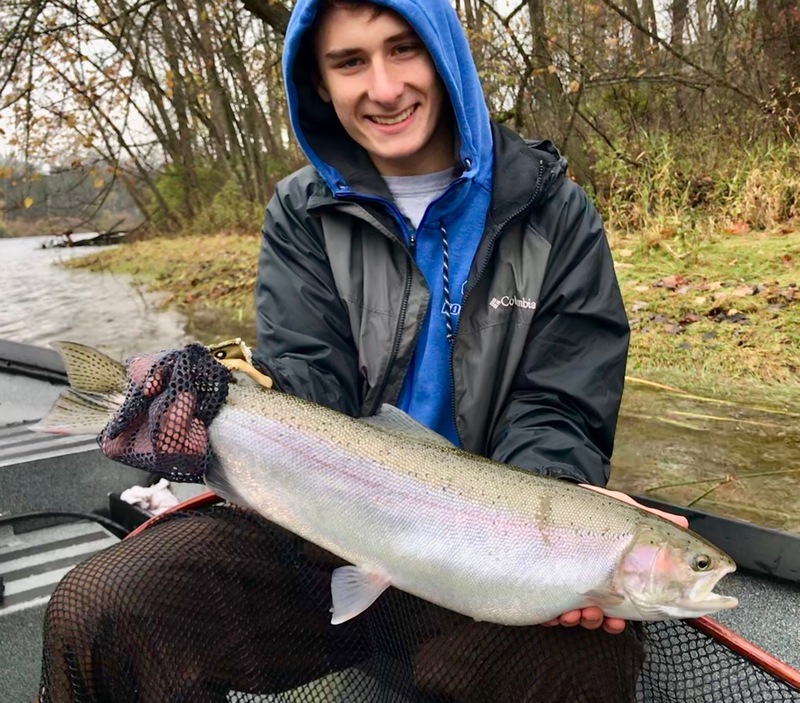 Pictured is Sam with his first fall steelhead—congratulations, welcome to the club!